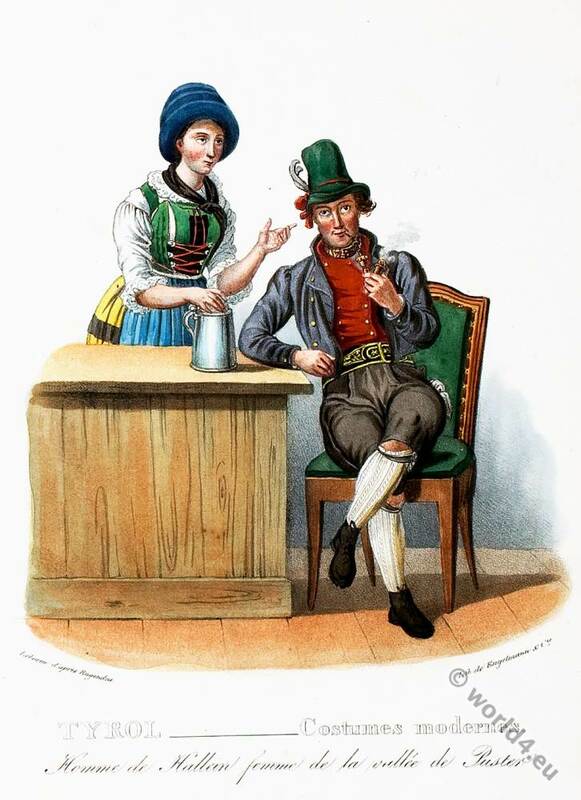 Home » Tyrolean national costumes 1835. 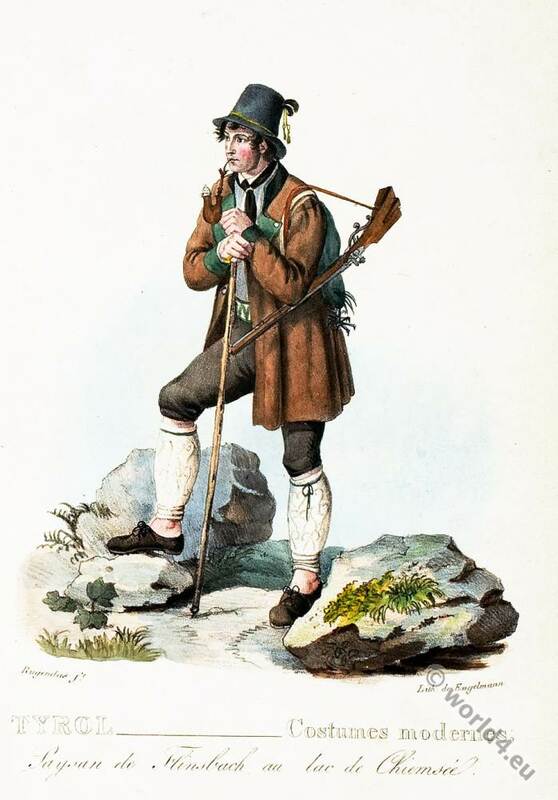 Peasant from Flinsbach Lake Chiemsee. 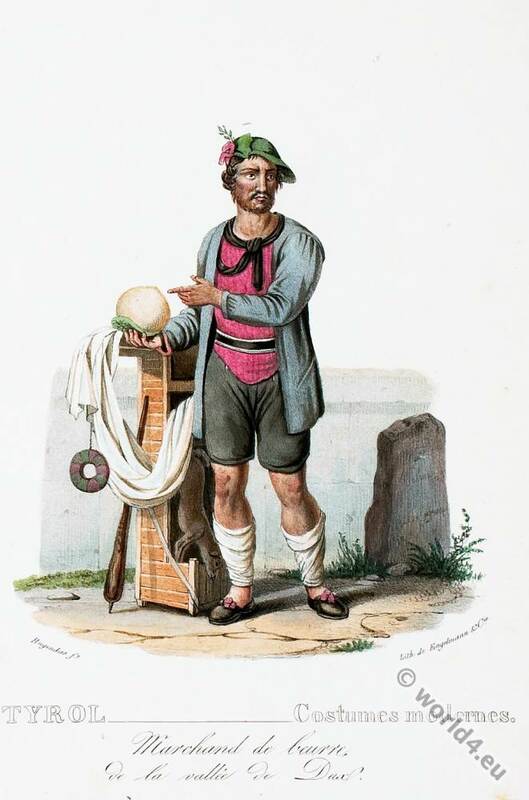 From the book: Tyrol: Costumes modernes by Johann Rugendas. Printed by Engelmann, Paris-Mühlhausen, 1835. 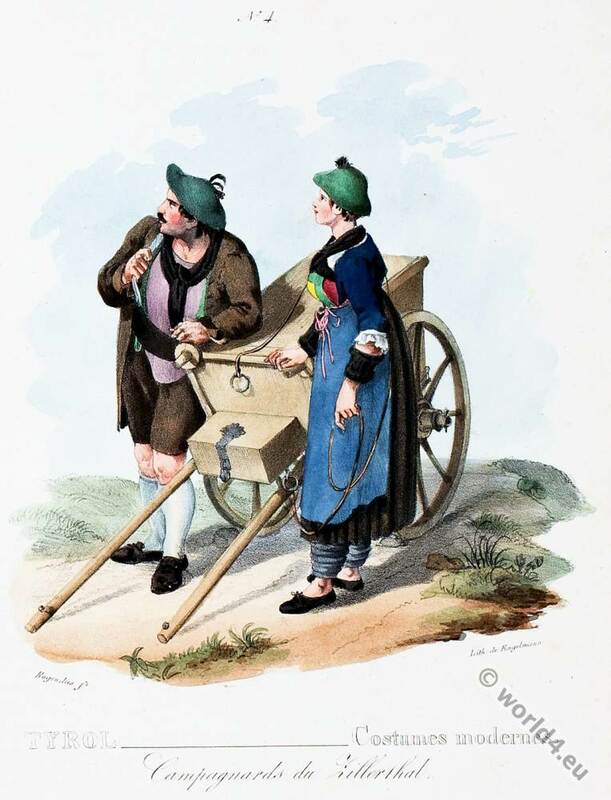 Inhabitants of the valley of Achen. Inhabitants of the valley of Dux. 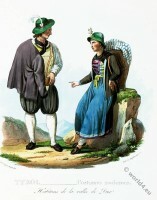 Inhabitants of the Ziller Valley and Vinschgau. Man of Hallen woman of the Puster Valley. The departure of Partisan around Innsbruck. The return of Partisan around Innsbruck. 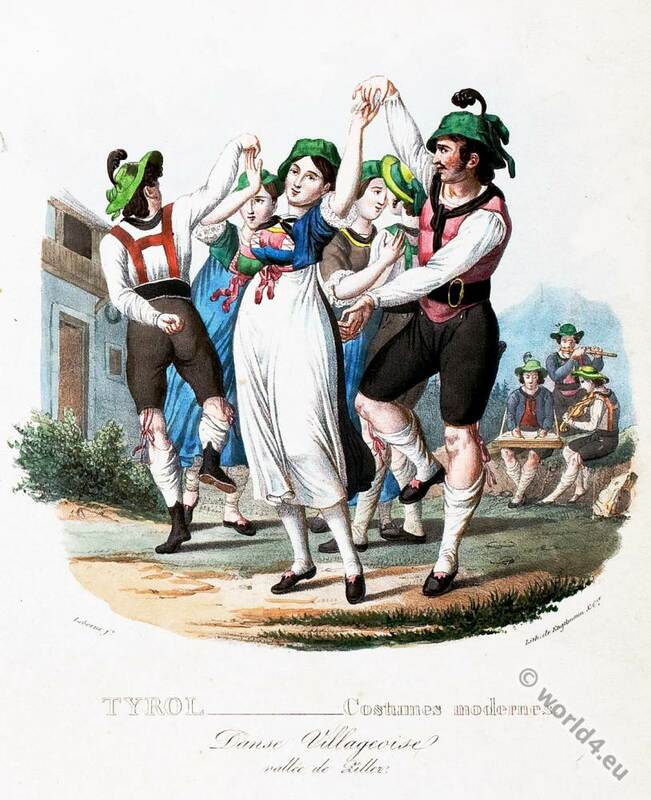 Dance of Villager from Ziller Valley. Paysan de Flinsbach au lac de Chiemsee. 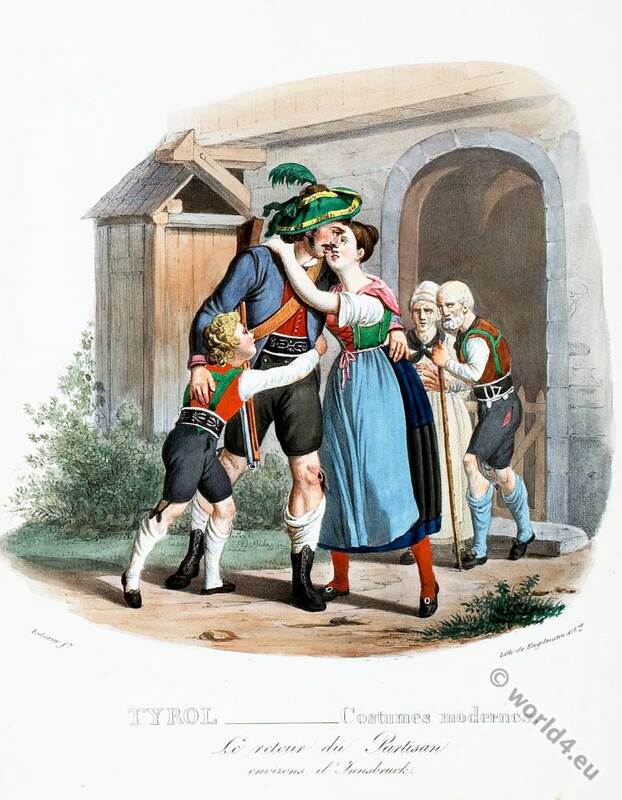 Peasant Flinsbach Lake Chiemsee. 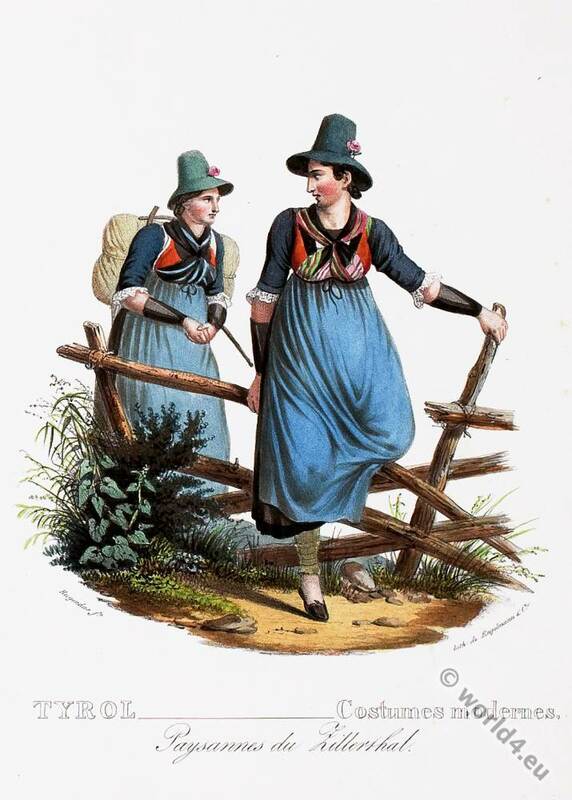 Jeune fille de Brixen. 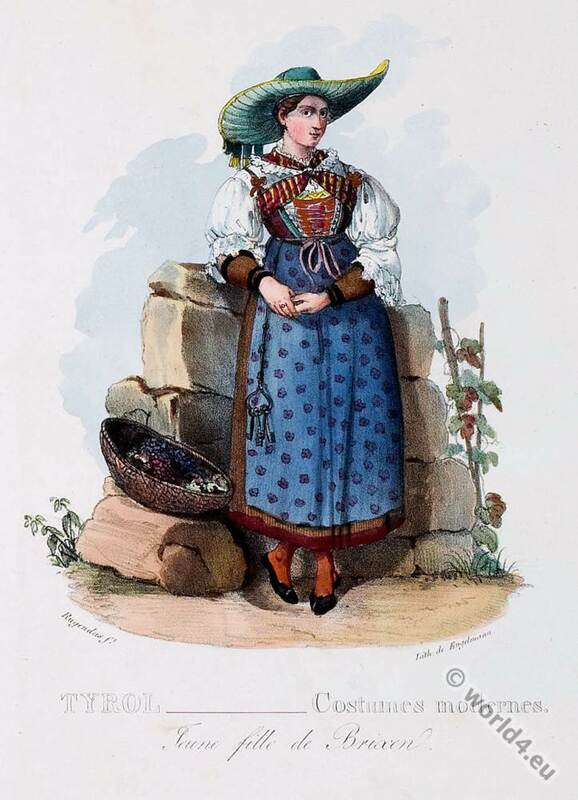 Woman from Brixen. Paysan de la Unterinthal. Peasant of Unterinntal. Campagnards du Zillerthal. Country people from Zillertal. Marchand de beurre. De la vallée de Dux. 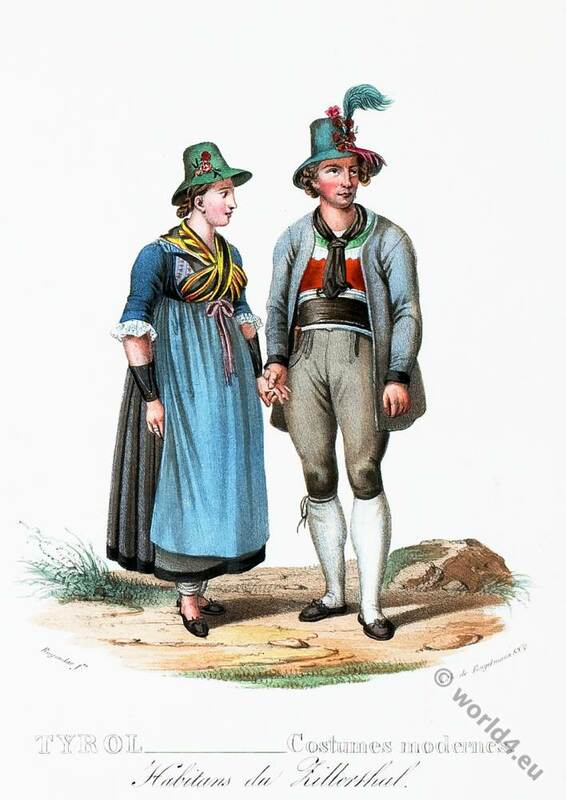 Butter merchant from the Joux Valley. Habitans du Pinzgau. 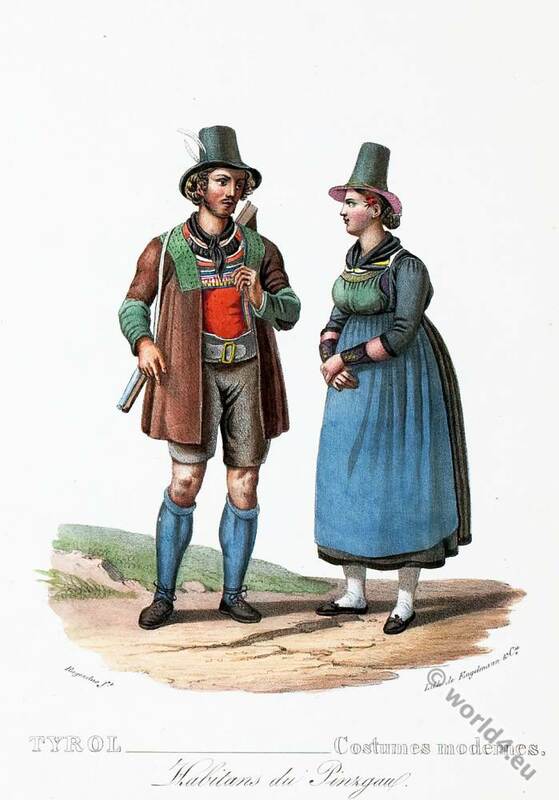 Inhabitants of Pinzgau. Paysyannes du Zillerthal. Peasants Zillertal. Habitans du Zillerthal. 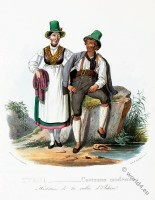 Inhabitants of the Zillertal. Habitans de la vallée de Achen. Inhabitants of the valley of Achen. Habitans de la vallée de Dux. 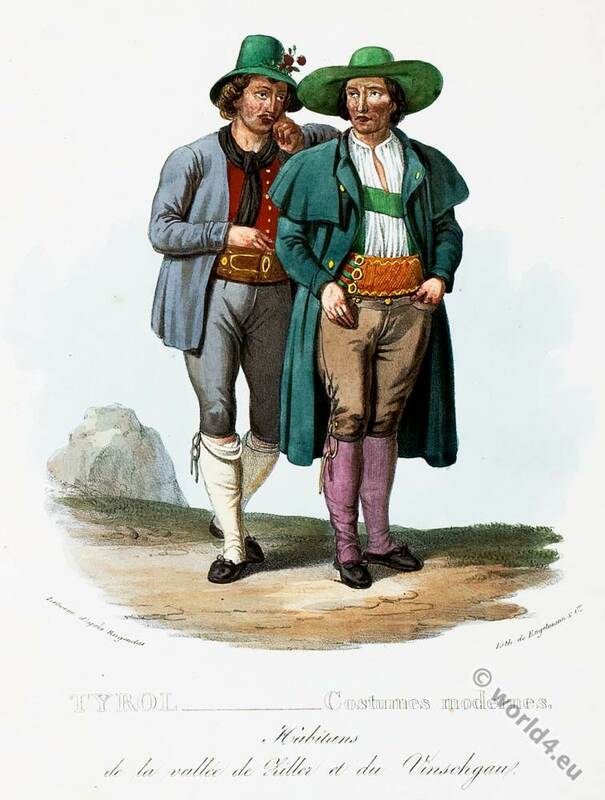 Inhabitants of the valley of Dux. Habitans de la vallée de Ziller et du Vinschgau. 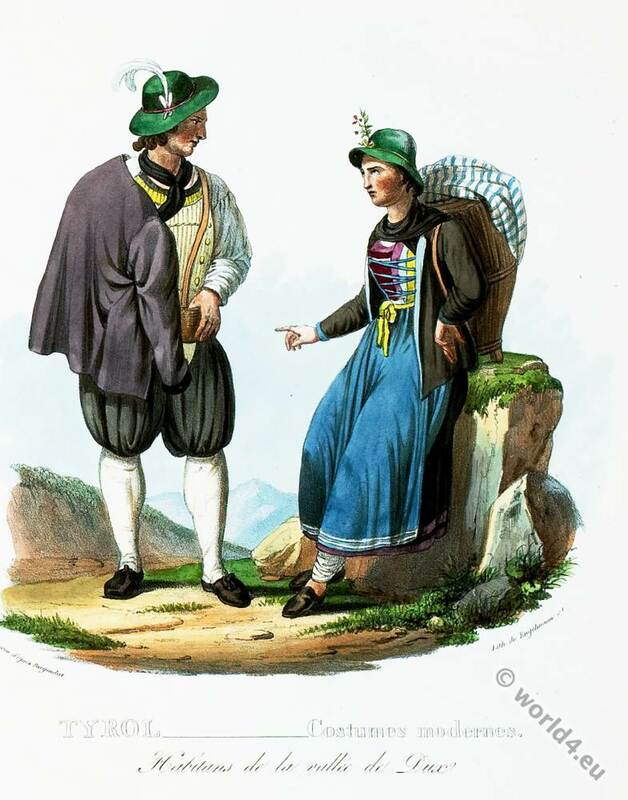 Inhabitants of the Ziller Valley and Vinschgau. 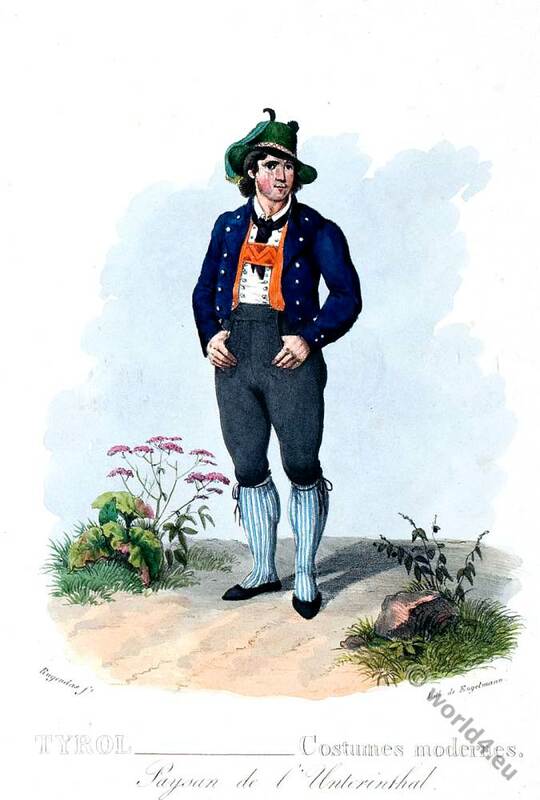 Homme de Hallen femme de la vallée de Puster. Man of Hallen. Woman of the Puster Valley. 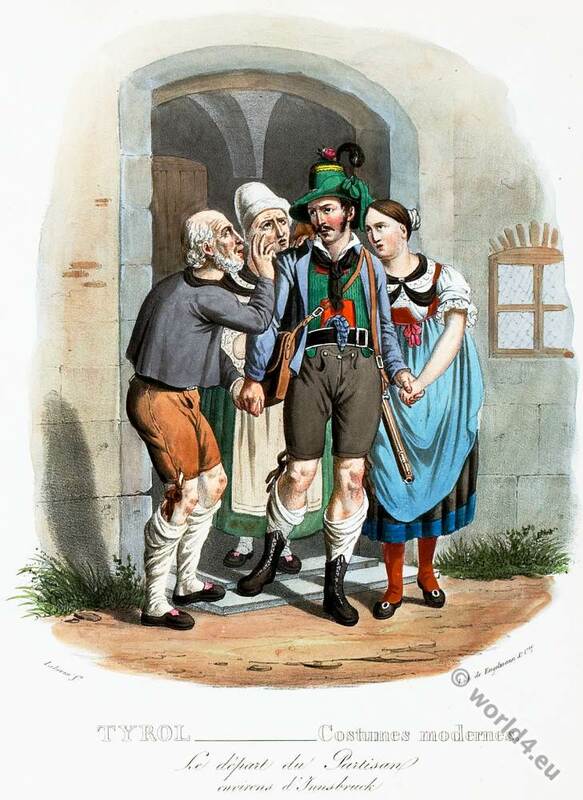 Le départ du Partisan environs de Innsbruck. The departure of the Partisan around Innsbruck. Le return du Partisan environs de Innsbruck. The return of the Partisan around Innsbruck. Danse Villageoise vallée de Ziller. Dance of Villagers at Ziller Valley. 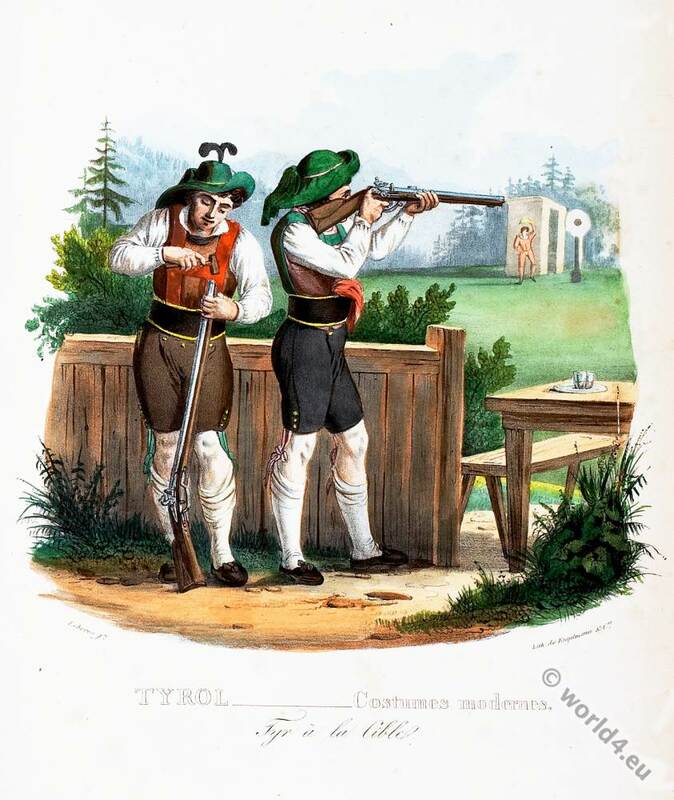 Tyr à la Cible. Target shooting.